If you have the Samsung Galaxy Note 2 on either Wind Mobile, Mobilicity or Videotron you might have received a notification today that an upgrade it available to you. 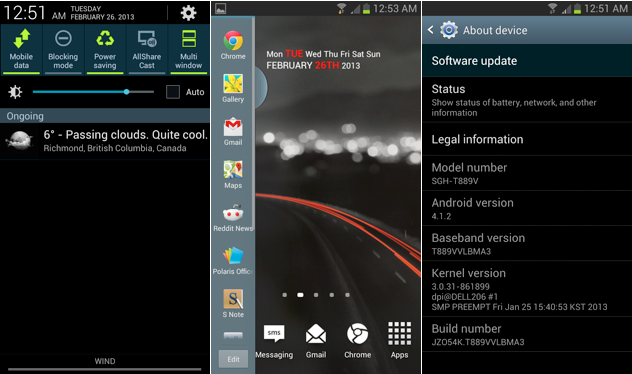 Android OS 4.1.2 Jelly Bean is finally arrived (226.93MB in size). This brings Multi Window & Chinese language support. Check your device: Menu >> Settings >> About device >> Software update >> Update.